I really like this poultry farmer build by Brother Steven. Some might say that the way he attached the foliage to the tree was fowl, but I think it's brilliant! 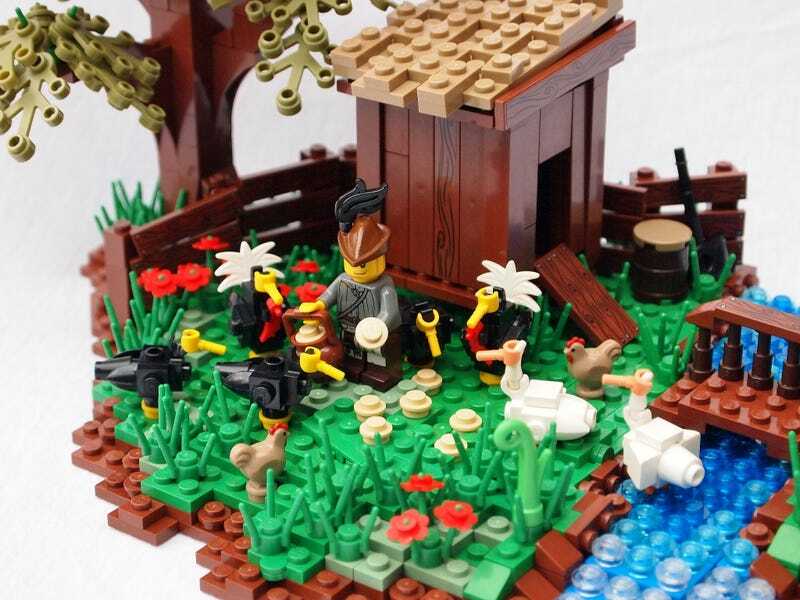 I also enjoy some of the nice touches with the turkeys and geese, utilizing minifigure hands as the beaks is pretty clever, though I feel like those might pop off easily. I'm assuming this guy is having chicken for dinner. All of this reminds me of a joke my brother once told me that I have added to my repertoire of bad dad jokes. Why does a chicken coop have two doors? Because if it had four doors, it'd be a chicken sedan.